Mattie was diagnosed with Autism spectrum disorder at the age of three. Roz, his mother speaks about the changes Aspire has made to their family life. “We noticed a few things that were different about Mattie from a young age. He played in an unusual way and always choose playing alone with a toy over playing with a child. He had no words by 2, and didn’t recognise his name. It was very hard to encourage interaction with other children as we would go to friend’s houses for a playdate and Mattie would spend two hours trying to open a cupboard, or repeatedly slamming doors. It was terrible, but now I can understand why we weren’t ever asked back. We set an appointment with a paediatrician and he was immediately diagnosed on the spectrum. We tried a few programs like Building Blocks and speech therapy but Mattie found it hard to sit through any of them. 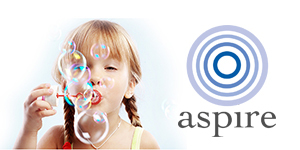 Eventually our speech therapist recommended Aspire. We simply did not know what to do so we invited them to meet Mattie. Dianne came over to our house and played with Mattie for a few hours. I asked if she would be able to help him and she said, ‘Yes, I can, because I know I can teach him.’ I thought that was interesting. That night I watched Mattie eat his dinner with Dianne, and eat it like a perfect gentleman. For us, it was a most amazing breakthrough. Mattie, who has now gone through three years of therapy, has one 3 hour session a week and some shadowing at school. He is now at an average level academically in our local public school, he has lots of friends and is popular at school. I can now give him directions, he can still struggle with two or three step directions and his fine and gross motor skills have undergone a major improvement. He used to have tantrums 3-4 times a day. But now his communication has improved so much he no longer tantrums, can communicate well and is just a truly laid back cruisy little boy who takes everything in his stride. “Nicky didn’t ever receive a formal diagnosis, despite numerous assessments and tests. The major signs that led us to seek a diagnosis were lack of eye contact and interaction from about the age of 2 months. We knew very little about ASD. My perception has changed completely, as I’m now of the opinion that ASDs are not necessarily on the increase, we just didn’t have labels for them previously. Individuals were thought to be quirky, eccentric or a little different. We came to Aspire as we had heard about their work. At the time Aspire provided Nicky with in home therapy every weekday from 18 months to 4 years of age and we developed an amazing relationships with all of Aspire’s therapists, they were like an extended family and we still keep in touch. It made a huge difference to her behaviours and understanding. The quality of the therapists is perhaps Aspire’s single most defining factor. Nicky’s behaviour has changed dramatically, she attends a mainstream school and is in Year 5. She doesn’t need any support, Some small issues now remain in reading social cues and body language which we need to monitor. When she was little, our goal for her was that she would be able to go to a mainstream school without a shadow. Now that she’s turned 11 it’s more about her making strong friendships, having self belief and ultimately being happy. Alice, from Brisbane, sought Aspire’s services when Hugo was diagnosed with ASD at two years old. Aspire currently has clients in Sydney, rural NSW, Canberra and Brisbane. “Hugo’s intervention began when we realized that some of the expected milestones for his age group were just not happening. He just wasn’t up to speed with language and it was difficult to hold his attention. A friend of ours suggested we see a pediatrician; Hugo was immediately diagnosed with ASD. We were provided with an overwhelming amount of free information and options for intervention therapies through Autism Queensland. The services are out there but it was hard for us to know which places are better. Based upon another friend’s recommendation and a write-­‐ up in a brochure, we got in contact with Aspire. At the time I did not know much at all about Autism. I am still learning every day, but finding Aspire made it seem a lot less scary. They were incredibly helpful providing us with support at home and they also taught me and my husband how to encourage play, develop language and control tantrums. I’ve tried to emulate a lot of the techniques used by Hugo’s therapist, especially with regards to motivation. So much of it just helps your general skills as a parent which has made me feel a lot more confident. I do prefer the one on one intensive therapy that ABA provides, which is tailored to Hugo’s specific needs. The more exposure to therapy Hugo has, the more effective in our experience. Even though we could not do an intensive program, the eight hours of therapy he receives at home each week is making a huge difference. It has been incredible to watch Hugo progress with things he has struggled with before and see him connect the dots. He is so much more compliant; he seeks me out, makes jokes, is laughing all the time, and we are all much happier. His last assessment showed that his language is now within the average range. There are days where I’m amazed at the conversations I’m able to have with him. *Testimonials were solicited and are from previous clients. Contact our office for a full copy of our Family Stories document and share the stories of other satisfied Aspire Families.